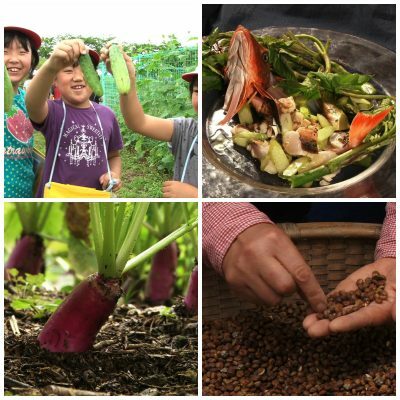 A documentary that shines a light on “heirloom vegetables” handed down through generations in Yamagata Prefecture. Heirloom vegetables have been grown in the places where they originated over the ages, but are disappearing due to their incompatibility with the standards of modern mass production and consumption. This film examines the future of food and agriculture through the activities of producers striving to preserve heirloom vegetables, scholars investigating the potential of the traditional farming techniques used to grow them, and chefs who get the most out of them as ingredients in innovative new dishes.